You only get one chance to impress your clients, and one of the first things that people notice is your curb appeal – or the quality of your parking lot in Fremont. You can make a positive impression on clients by providing them with a strong and presentable structure for the parking area, as well as present clients with a range of advantages including aesthetic appeal, cost, and maintenance. If you can spare the costs, always go for concrete parking spaces, here’s why. Often times the easiest way to make an impression is to focus on pleasing aesthetics. True, it is rudimentary but it is shown to work. Concrete has a clean appearance that is visually appealing people and does not easily wear down like other materials. Its durability also ensures you won’t be needing extensive maintenance for years to come. Concrete has exceptional properties that allow it to undergo excessive wear and tear without so much as a scratch. You can place excessive weight and traffic without fear of damaging the layout. This doesn’t mean you don’t require proper care, but in general, the lifecycle for concrete parking lots can go up to 30 years. Concrete isn’t immune to damage. It does crack with the period of time, and it happens often. All you really need in the way of maintenance is to wash the surface thoroughly with a pressure washer and seal any cracks to prevent fluids from causing damage by seeping through. Concrete is a highly maneuverable material that can accommodate an unlimited range of customizations. No two construction projects for parking lots have to be alike. This way, businesses can create their desired type without worrying about high costs and still appear appealing to clients. 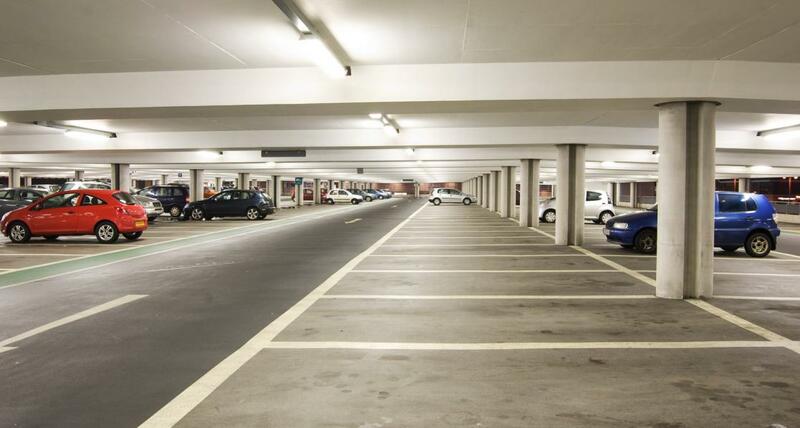 Parking lots that are made with expansion joints are built to withstand both expansion and contraction. These are natural phenomena that commonly occur in excessive weather conditions such as extreme heats and colds. Opting for expansion joints can prolong the life of the concrete parking lot and make it look more aesthetically pleasing. Another prominent variant commonly used to construct parking lots is asphalt. Not only is concrete more cost-effective, but it also requires less upkeep than asphalt. The materials are easy to source and install by engineering teams. Most parking lots can go for several years without requiring any inspections or repair. If you want to make changes to your concrete parking lot in Fremont, all you have to do is make a few changes to the color and become creative with the design. This saves a lot of time and capital investment in the long run instead of installing a completely new surface. And now with ParkingForMe, you can easily rent out your parking lot to thousands of customers with the powerful on-screen app. Just follow the instructions and start making incredible returns on your investment. Click here to find out more.